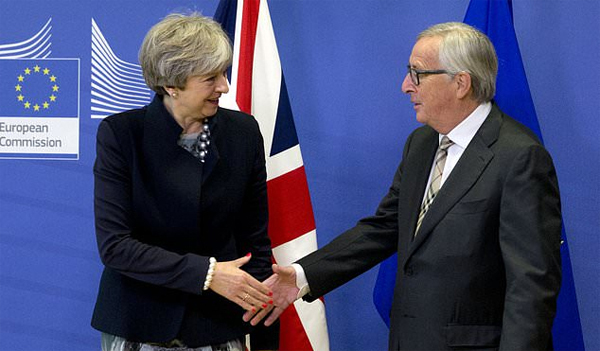 BRUSSELS, Dec 4, (AFP): Britain and the EU failed to strike a Brexit divorce deal during talks in Brussels on Monday but said they were “confident” of reaching an accord later this week. British Prime Minister Theresa May and European Commission President Jean-Claude Juncker fell short of a breakthrough, despite encouraging progress on the thorny issue of the Irish border. May said differences remained on a “couple of issues”. 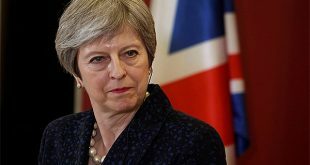 “But we will reconvene before the end of the week, and I am also confident we will conclude this positively,” May said. The failure of the talks came despite EU president Donald Tusk saying just hours earlier that negotiators were “getting closer to sufficient progress” at the December summit, and that he was “encouraged” by a phone call with Irish Prime Minister Leo Varadkar. Tusk — who was to see May later in Brussels, and who cancelled a Middle East trip because of the “crucial” talks — said recently that Monday was the “absolute deadline” for an improved offer from London. Irish broadcaster RTE said Britain was ready to keep the EU customs and single market rules for Northern Ireland in order to meet Dublin’s insistence that Brexit should not bring back a “hard border” and threaten a peace process that ended decades of sectarian tensions. Dublin’s demands on the status of the border with British-ruled Northern Ireland have been the key stumbling block recently, with fears that the talks could even collapse amid tensions between the two neighbours. 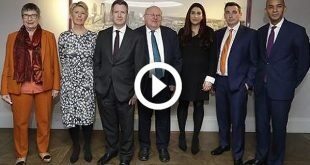 But an angry reaction from the Northern Irish unionists who prop up May’s minority Conservative government meant there was still no deal three hours later, and the meeting was put on hold while May made calls to try to win them over. “We will not accept any form of regulatory divergence which separates Northern Ireland economically or politically from the rest of the United Kingdom,” Democratic Unionist Party leader Arlene Foster said in a statement. In a sign of the tensions within the United Kingdom caused by Brexit, the leaders of Scotland and Wales together with the mayor of London all called for similar deals to the one being considered for Northern Ireland. May, Brexit minister David Davis and the prime minister’s Brexit adviser Olly Robbins attended the “working lunch” with Juncker, the EU Brexit negotiator Michel Barnier and Juncker’s chief of staff Martin Selmayr. 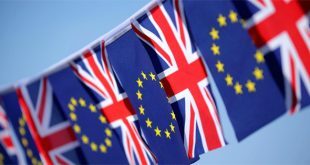 The EU has demanded “sufficient progress” from Britain on the exit bill, citizens rights and Ireland in order to move on to talks on a post- Brexit transition period of up to two years, and on a future relationship including a trade deal. Failure to do so this month could make the EU “rethink” whether an overall Brexit withdrawal deal is possible at all, Tusk has warned, raising the prospect of a chaotic exit with far-reaching economic effects. After months of stalemate, London and Brussels have effectively reached a deal on the divorce settlement, reported to be 45 billion to 55 billion euros ($51 to $63 billion), and previously the most contentious issue. Meanwhile, Scotland, Wales and London should all benefit from any special deal given to Northern Ireland to smooth access to European Union markets after Brexit, the three regions’ most senior politicians said on Monday. Most Scots and Londoners voted to stay in the EU in June 2016’s referendum, unlike their compatriots in the rest of the United Kingdom. Politicians in Scotland, Wales and the British capital have campaigned for Britain as a whole to stay in the EU’s single market to smooth trade relations. 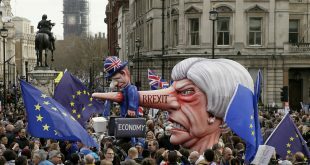 But Prime Minister Theresa May has ruled that out so far, saying Britain needed the freedom to make its own rules and trade deals. 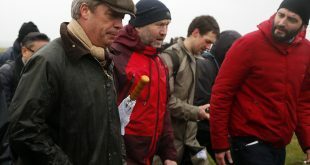 They rallied to the cause again after Irish government sources said on Monday that the British government had agreed to maintain EU “regulatory alignment” for Northern Ireland, which is part of the UK but shares a land border with the Republic of Ireland, an EU member state. May said there had been no overall agreement on Monday. Keeping regulations in Northern Ireland similar to those in the rest of the EU make it less likely that the bloc would insist on border checks after Brexit. But making an exception of Northern Ireland may make it diffi- cult for May to argue others cannot have the same. So far, she has argued that Brexit should follow a one-sizefits-all pattern for the whole of the United Kingdom. “If one part of the United Kingdom can retain regulatory alignment with the European Union and effectively stay in the single market … there is surely no good practical reason why others can’t,” Nicola Sturgeon, the head of Scotland’s devolved pro-independence government, said on Twitter. Scotland, one of the United Kingdom’s four nations with around five million people, voted by a large majority to keep EU membership, as did Northern Ireland. Wales and England, the most populous nation, voted to leave, straining the structure of the UK and complicating negotiations to unwind four decades of political and trading links with the EU.